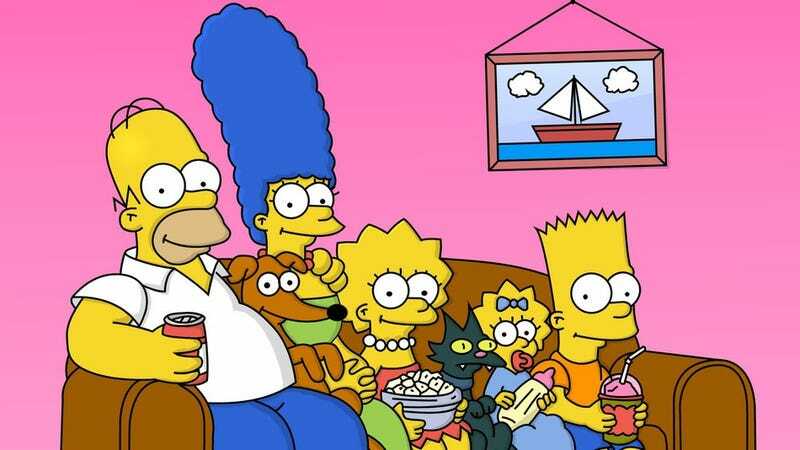 Over at the Oxford Dictionaries blog, there's an essay by author and Indiana University at Bloomington professor Michael Adams that investigates how The Simpsons has helped shape the English language over the past 25 years. For instance, Adams writes, "fancy words of pure invention, worthy of Lewis Carroll, like cromulent 'legitimate, but not really', and words built from worthy English parts, like the blend of opposites in craptacular 'crappy, with attitude' and embiggening 'enlarging', as well as catch phrases like cowabunga, dude!, and Don't have a cow. Embiggening is the sort of word you make up from scratch when you're lacking the edumacation to know that enlarge already exists, and edumacation is the sort of word you use if you also use embiggening." The bulk of the piece digs into "two small but powerful words, words that aptly capture what it's meant to be human during the Simpsons decades — d'oh and meh. Whereas other Simpsons words are clever and flashy and show that we can make our world anew in language and enjoy the making, d'oh and meh reduce experience to the minimal elements of speech ... d'oh captures an existential frustration, [while] Bart Simpson's meh is a whole 'nother story. Meh is the verbal shrug of indifference. It's an integral part of Bart's response to the world." Also worth noting: "meh isn't in the OED — yet," but d'oh (which has pre-Simpsons history, and which Adams notes is a perfect example of "how difficult it can be to say when a word enters English") made it in 13 years ago.